exhibition and critique. 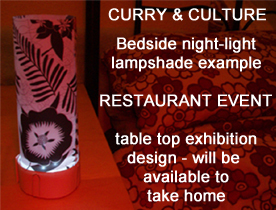 An event space is planned to take place once a month in one of Londons curry houses. stepping up onto a platform as to elevate ones senses as to be better exposed to knowledge undiscovered. is permissible are all part and parcel of Curry & Culture. Be a participant or spectator. 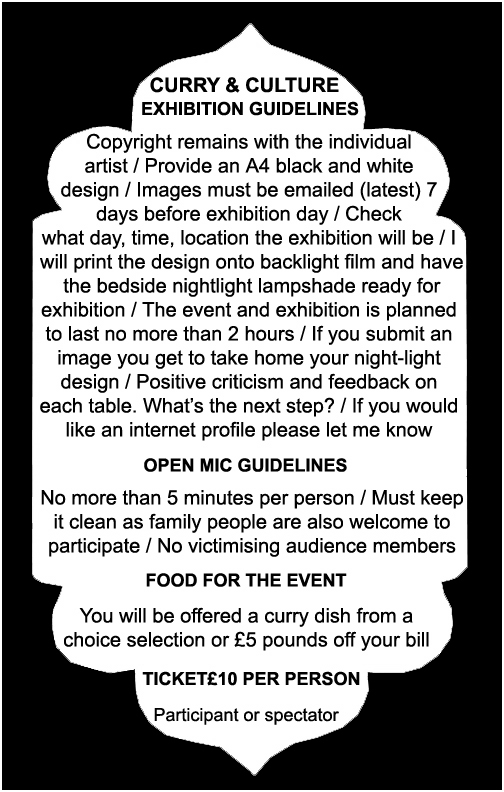 email how you would like to contribute or if you are planning just to be a spectator. 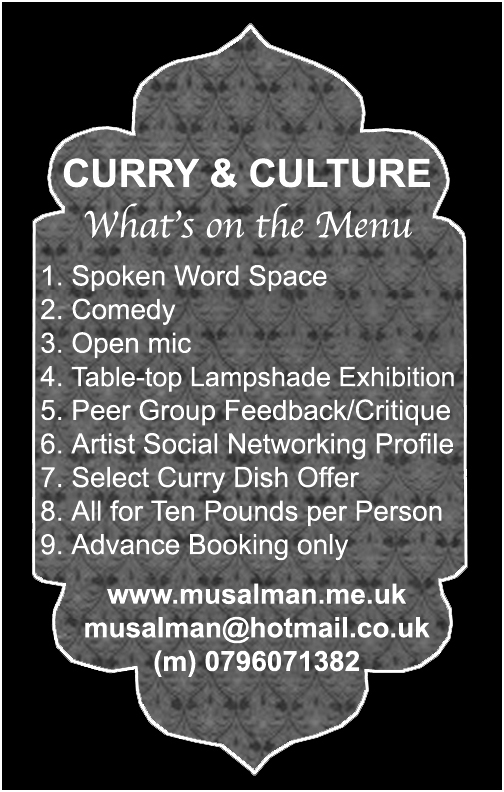 with the proposed set up of events please do let me know your interests.